Pink peonies blended with sea salt, cashmere musk and an unexpected accent of suede. 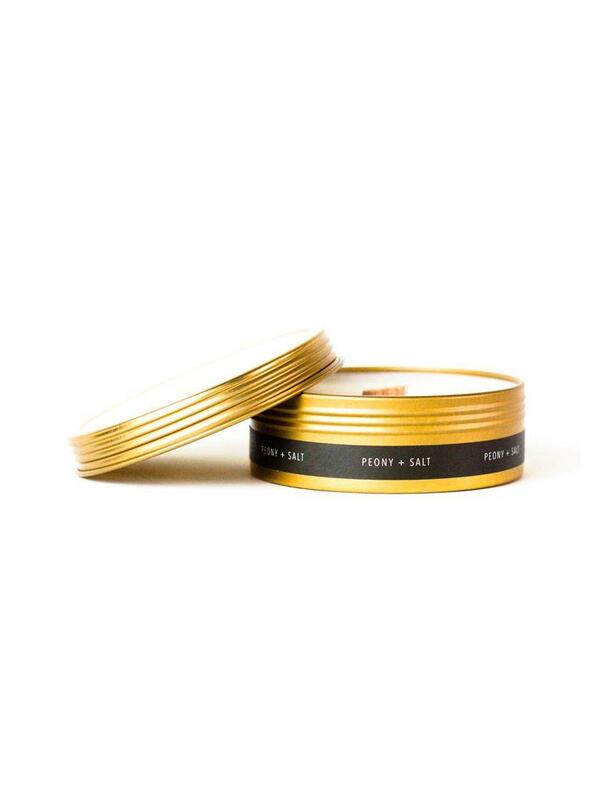 Poured signature soy candle into a chic gold travel tin so you can take a little bit of home with you wherever you go. Each tin holds 3.5 oz. and the wood wick will deliver a crackling glow for up to 15 hours. Each soy travel candle burns cleanly and safely and when you’re done pop on the lid and your candle will be ready for your next escape.